2013 brought much improvement to the Orono housing market. Sellers and Buyers remained optomistic that the overall economy and Orono housing market would continue on with the improvements made at the end of 2012. Strong buyer demand in Orono housing matched with the small 2.3% decrease in listings pushed Orono’s 2013 median sales price up 32.5% while the average days on market fell to 168, lowering the number of months of housing inventory by 31% over the previous year. Builders in 2013 had been trying to keep up with buyer demand, however, due to the amount of demand and the lack of new construction inventory the % of original asking price for new construction remained above 100%, ending with the 12 month median at 103.8%. Despite the overall low inventory, Orono's total sales for the year increased by 8.7% to 175. 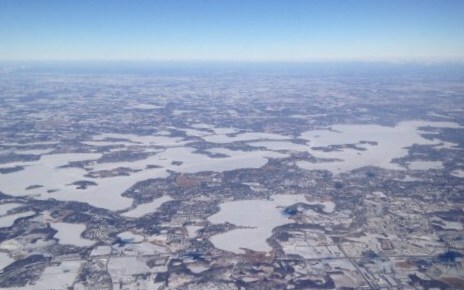 Lake Minnetonka is one of Minnesota's greatest natural treasures and this wintertime aerial photo shows the area in all of its frozen beauty. This recreational lake boasts more than 14,000 acres and is a hotspot for recreational activity in every season. Now that the ice is frozen and the New Year is here, winter time is in full effect on Lake Minnetonka. 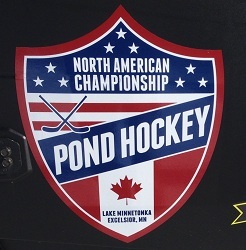 Right around the corner is the annual North American Championship Pond Hockey on Jan 24th-26th. 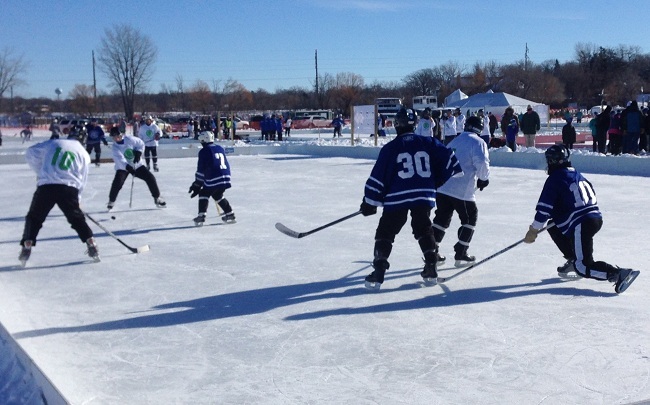 This year the tournament will feature over 60 teams, playing 150 games in 3 days on Lake Minnetonka in front of Exclesior homes and Maynards Restaurant. With 4 divisions competing on the ice, the whole family can be participate. All proceeds will benefit “Defending the Blue Line”. Be sure to sign up your team or cheer your friends on as they compete for the coveted cup.